Another week has gone by which means we’re approaching the end of another anime season! This week I’ll be covering my thoughts on Tokyo Ravens episode 20, Nagi no Asukara episode 21, Kill la Kill episode 20, and Samurai Flamenco episode 18. While as a whole, the series never really stood out to me, this episode alone managed to completely chang my impression of the show. It starts off with a prologue where we get to see the events prior to the start of the series but this time, through Natsume’s perspective (we got to see Harutora’s perspective of their meeting back in the second episode). It gave us more insight on why Natsume acted the way she did as Hokuto. Even though Harutora didn’t know her true identity, Natsume was afraid to approach Harutora even through her puppet. 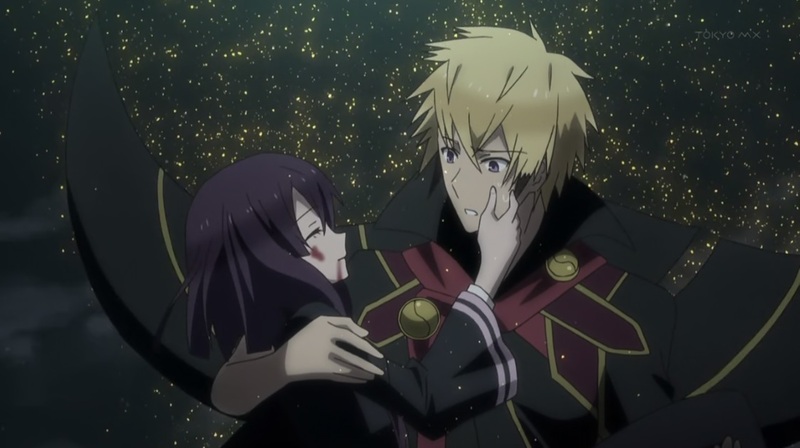 Eventually, she was able to act how she wanted to around Harutora. She didn’t have to be reserved since this “Hokuto” wasn’t from a noble family and didn’t have to worry about keeping up an image. Throughout the episode, it was nice to see Natsume open up to Harutora and come clean about everything. This episode was also like a parallel to the first two episodes. 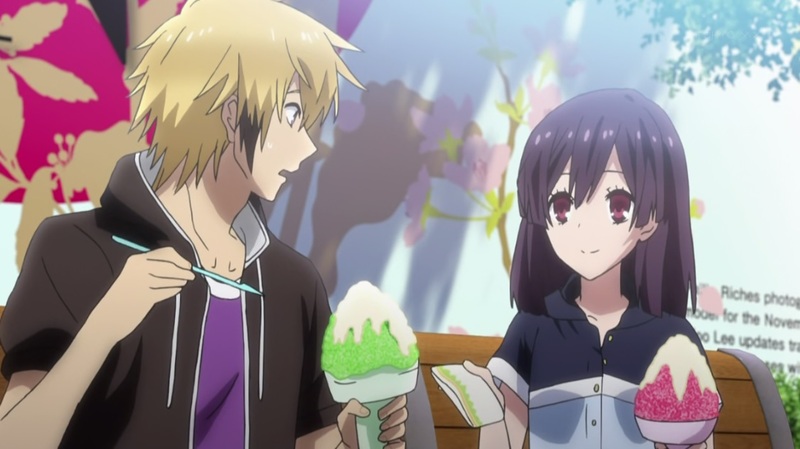 The setting is similar to the beginning of the series where first Harutora and Natsume hang out and share shaved ice. They attend the festival together, participate in the games, and watch the fireworks. The episode played out the same way it did in the past, but this time Natsume has grown much more as a person. Of course, the end of the festival had the similarity of Natsume “dying” once again. Both times, her dying words were “I love you, I won’t forgive you if you die” to Harutora which I found really fitting. 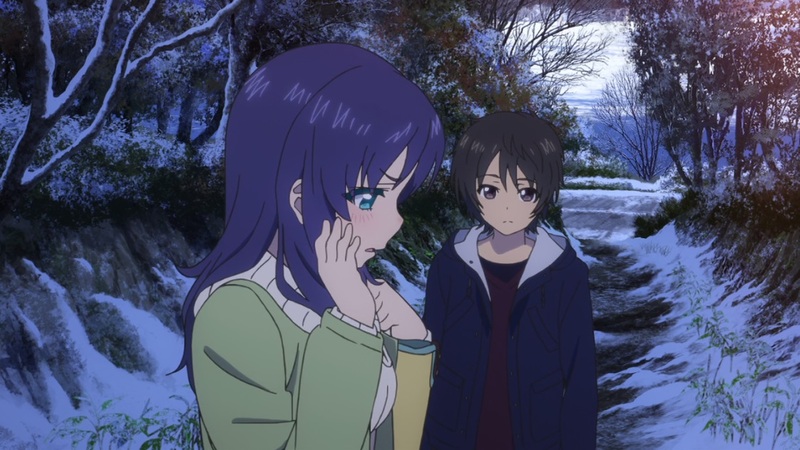 Even if Natsume tricked Harutora earlier on, in the end, she really was Hokuto and her personality and relationship with Harutora hasn’t changed at all. The end of the episode was depressing for me, Natsume was so at peace and calmly reflecting on herself while Harutora was begging for her to come back. Overall, a solid episode with an amazing soundtrack to back up the well executed scenes, definitely became my favourite episode of the series so far. It seems like Manaka is acting like her usual self despite having been asleep for five years. She’s treating Chisaki and everyone else the same as she always would have and running about in her usual cheery mood. However, she does have a few moments where she seems to space out. Maybe she was only able to pretend to be her usual self when everyone was around since she was in her comfort zone. She hasn’t had as much time to come to terms with all of the changes like Hikari did but tried her best to act like her usual self since everyone was finally reunited. She was hoping for everyone and everything to be the same after the hibernation. However, she’s the only one who’s lost their ena and may be feeling more distant and unclear about her wish now since she can no longer join them in the sea. 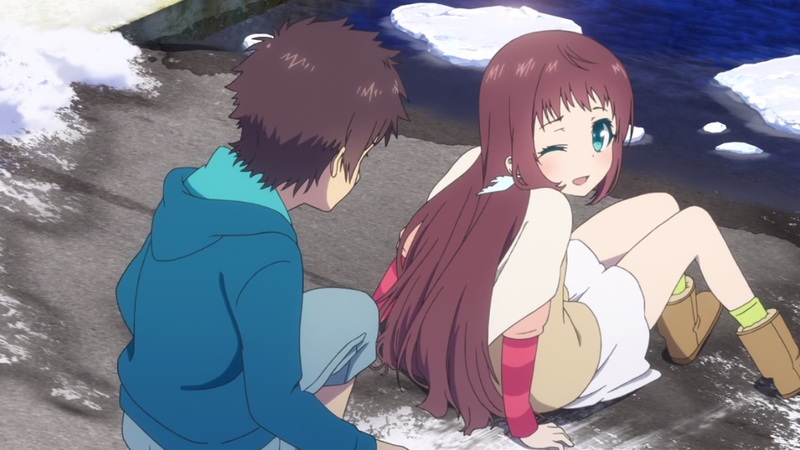 We also get to see Chisaki’s reaction to Manaka awakening. It seems like she feels out of place now that everyone is back together. Miuna, Sayu, and the others from Shioshishio are all the same age but Chisaki is much older than the rest of them now. Her eating the coffee jelly and commenting on it highlights the fact that she’s grown up and doesn’t exactly fit in with the other kids now. Tsumugu sees her insecurity and tries to reassure her that he’ll still be with her so she’s not alone. Chisaki doesn’t see him as a romantic interest still though and just interprets his words in a friendly manner. Ryuuko is still blinded by rage and is having problems coming to terms that Ragyou is her mother. Also, the fact that she’s a life fiber being, she had been killing her fellow “people” all along. She’s lost her sense of identity since she doesn’t associate herself with Ragyou but at the same time she isn’t physically a human. This causes her to go face Ragyou blindly which just results in her falling into their trap. Ragyou brainwashes Ryuuko by giving her the “memories” that she’s always wanted, to fit in and have a loving family. 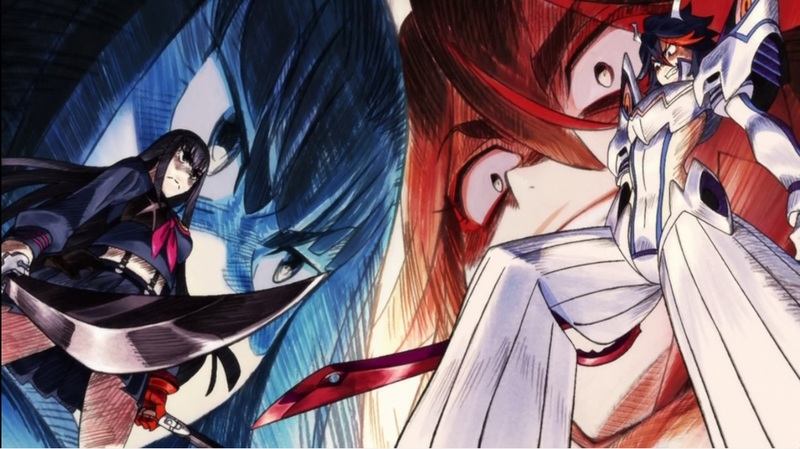 Satsuki’s and Ryuuko’s roles as protagonists and antagonists has also been switched up now. Satsuki donning Senketsu while Ryuuko wears Junketsu. I guess they sort of explained how everything happened in this series. As the series progressed, I noticed that they had been spending less and less time on each new villain since it was kind of getting redundant. It seems like Masayoshi’s had his fun now and would like to return to a normal life. 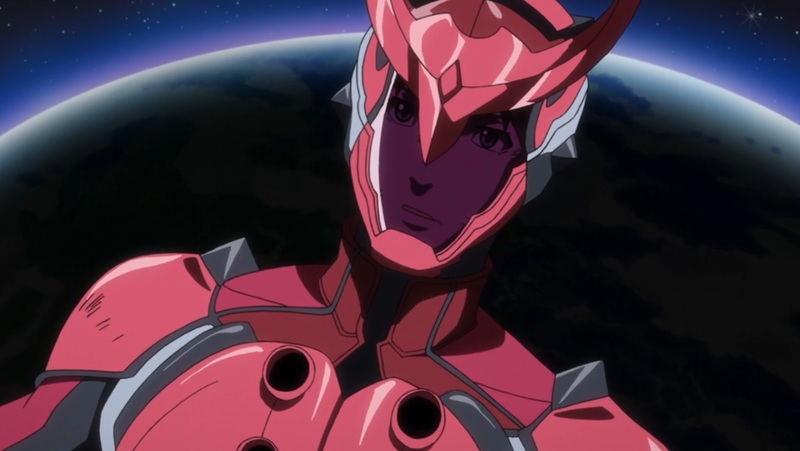 People died and suffered as a result of Masayoshi’s desire to be a hero. The universe created these situations to grant Masayoshi’s wish. In the end, Masayoshi realizes he doesn’t need to be a glamorous crime fighter to be a hero. His conversation with Alien Flamenco was also pretty interesting as well. While they both desire peace in the universe, Alien Flamenco’s method of achieving it is by forcing everyone to accept it whereas Masayoshi wants people to still have their free will and accept peace on their own. While peace is something Masayoshi desires, he’s not willing to sacrifice his values to achieve it. I guess I’m now interested to see how they end off the series since Masayoshi did wish for everything to go back to normal. What other conflicts need to be resolved aside from maybe revealing Goto’s mysterious girlfriend? That concludes another week of Fall 2013 anime for me. Overall another solid week and its a little sad knowing that the end is near for many of these shows. I’ll have my winter week 8 thoughts up in the near future, and probably post my spring pre-air impressions towards the end of the next week after I finish up my assignments!